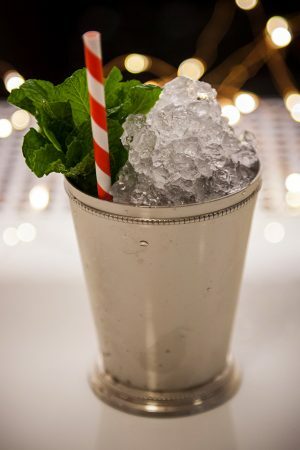 Combine all ingredients in a Julep tin and add crushed ice. Agitate with a swizzle stick or barspoon to incorporate. Top with more crushed ice and garnish with a bouquet of mint. Add 5 drops of Rumfire Jamaican Rum to the bouquet.